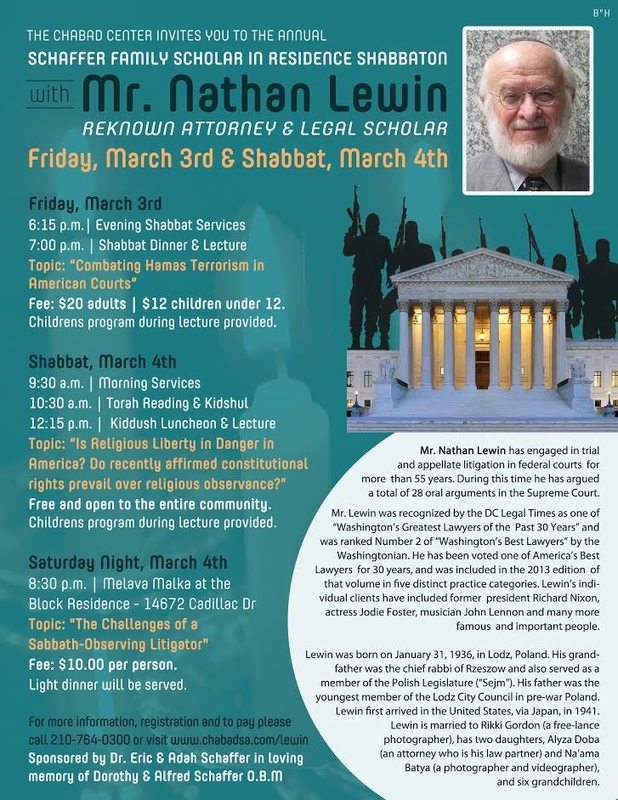 Your invited to a Shabbat weekend with world-renowned legal scholar and attorney Mr. Nathan Lewin. 25.00 adults • 12.00 children under 12. Do recently affirmed constitutional rights prevail over religious observance? 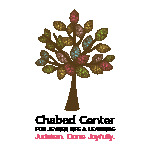 8:30 p.m. at the home of Rabbi Chaim & Rivkie Block, 14672 Cadillac Dr. 78248. Adults only. Light dinner will be served.